From the moment I saw NIS America’s The Princess Guide I was intrigued. The screenshots barely made any sense, but they looked gorgeous. Crisp, bold black lines, vibrant colors, and tons of incomprehensible but delicately arranged icons. After a few hours of actually playing the game, I barely understand it any better, but I feel compelled to keep playing anyway. The game, out on Switch and PS4, defies classification but I’ll try. Imagine taking Pikmin, turning it into an anime beat ‘em up, and dunking it in a bucket of stylish Persona 5 fonts and user interface design. It fulfills the basic requirements of a Japanese role-playing game: there’s corny dialogue, health bars galore, and a baroque character progression system. But the actual moment-to-moment combat, which is nauseatingly repetitive at times, reminds me more of playing X-Men in the arcade than grinding away in a Dragon Quest. In The Princess Guide, you take on the role of an experienced knight helping one of four princesses become a better ruler of their kingdom. One is super antsy and loves food, another is a witch with an attitude, and there’s even one who’s half-dragon because why not. There are two main aspects ways you can help them rule. The first is stomping out enemies whenever they pop up by traveling to where they are on the map and engaging in quick arena fights. Unlike a traditional beat ‘em up, the main character you control is supported by a squad of minions, which dictates the special attacks and combos you can use. They can also take damage, and as they die, you’ll become exponentially weaker until they respawn in the next fight. These mechanics are fun and interesting by themselves, but unfortunately, the the enemy and map variety I’ve encountered so far hasn’t made the best use of them. The other way to affect the princesses’ power is by praising or chastising them during post-battle conversations. Doing so shapes how their stats grow and also the types of materia (stat and ability bonuses) they can equip. 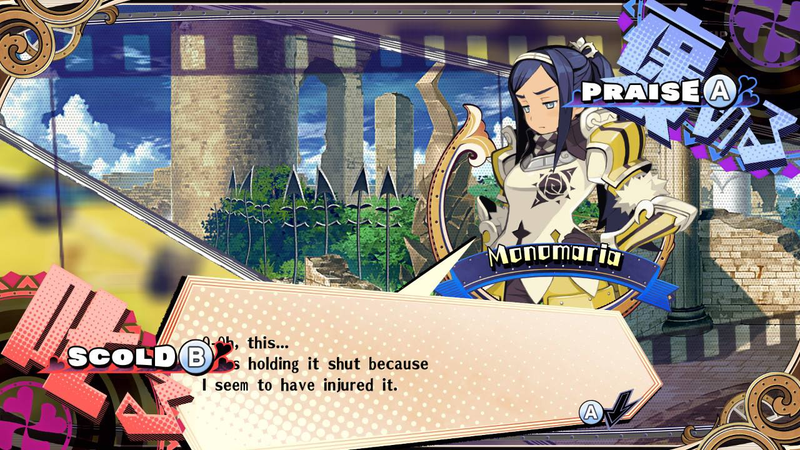 While some materias are earned by completing bonus missions or unlocking certain achievements, like killing a certain type of enemy a certain number of times, others come about through the aforementioned dialogue choices. It’s cool in theory, but in practice, it often feels sort of haphazard. The game’s major problem is that it doesn’t effectively integrate these two modes. The characters can be endearing, and the way conversations shape their progression is all well and good, but that aspect rarely feels like it has much bearing on the actual enemy encounters, most of which can be ripped through without diving too deeply into the the rest of the game’s systems. I was also a bit disappointed by the overhead map, which at first glance looks to be rife with real-time strategy-lite elements but actually isn’t. Despite all of that, I find myself returning to the game in spare moments here and there. On Switch, where I’m playing it, The Princess Guide works great for that sort of thing. Whenever the button-mashing battles start to burn me out, I’ll fiddle with my squads a bit and then take an extended break.